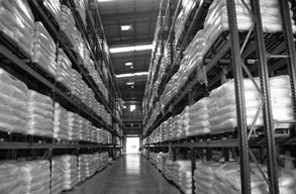 Sustaining the planet along with people and profits has been our approach to business. 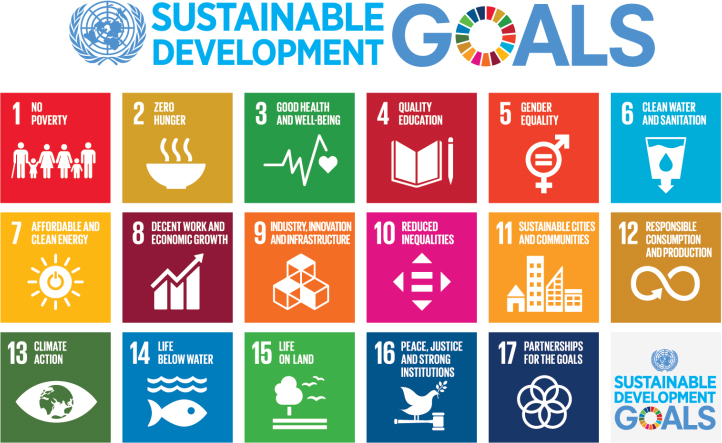 At Astec Lifesciences, we recognise Corporate Social Responsibility integral to the way we do our business and strive to engage, connect and uplift our community. 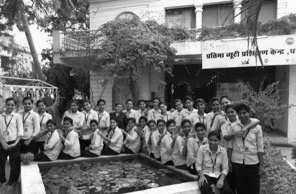 the forefront of philanthropic and social activities for several decades. 23 per cent of the shares of the Group's holding company, Godrej & Boyce, are held in a trust that invests back in initiatives that support the environment as well as improve the quality and availability of healthcare and education. As part of the trust, we continue to preserve and care for the largest privately managed belt of Mangroves in Mumbai, and run the Godrej Udayachal Schools and the Godrej Memorial Hospital for quality education and affordable healthcare among other initiatives. In order to improve the earning potential of our trainees, we help build their core domain skills, as well as focus on entrepreneurship and life skills education, and provide post-training support. We are also strengthening our curriculum, digitizing it to offer uniform training, and focusing on ways to provide more value to a larger set of young people. 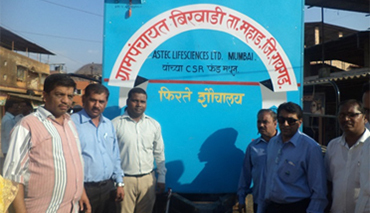 Astec's Flagship initiative, integrated rural livelihoods program: In line with the government's mission on doubling farmer incomes, Astec has committed to work with 1000+ rural households in 9 villages of Maharashtra, India. Our work involves building the skills and capacities of marginal and landless men and women farmers to diversify their income sources by improving their agricultural and animal husbandry practices. We are also in the process of creating various enterprise based solutions run by women on challenging issue like tacking waste management, agri value chain initiatives like flour mills etc. to increase women participation and improve incomes for the marginal, landless communities. 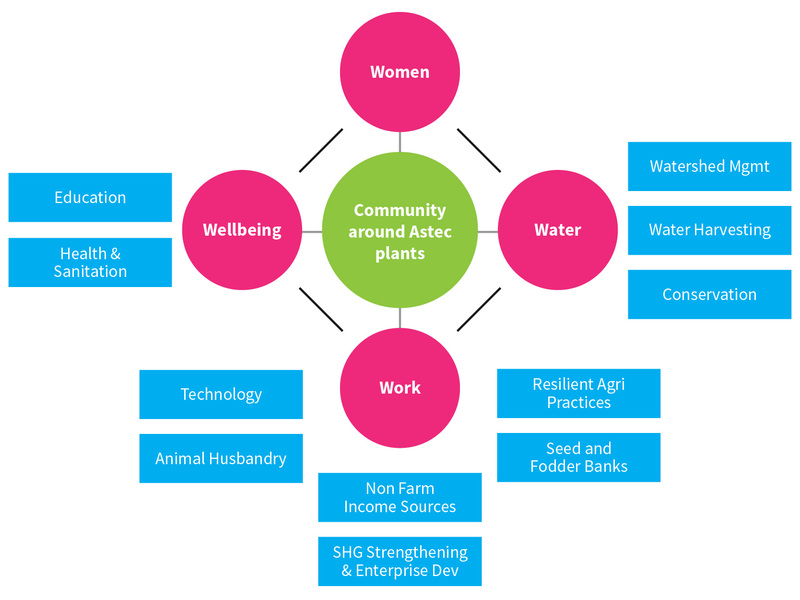 Community development initiatives: Astec works closely with communities around our manufacturing plants. In partnership with the locals, we primarily invest in education, water, sanitation initiatives across five schools covering 3 villages in and around our facilities. Volunteering: We encourage our employees to volunteer their time through different programmes and initiatives. Some of our initiatives include the Godrej Global Volunteering Day, Brighter Giving, annual Good & Green carnival, volunteering around the World Environment Day, and the Standard Chartered Mumbai Marathon in support of the Teach For India foundation, among others. Addressing the hygiene and sanitation needs of village Bhirwadi in the absence of a public toilet a mobile toilet van was provided at the market place for villagers to prevent open defecation. The van is now managed by the panchayat and used by 50+ people every day. 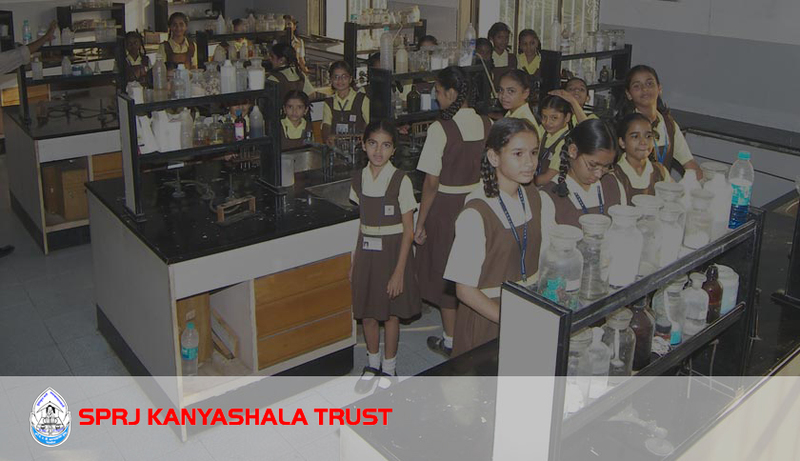 Astec has set up a scholarship with SPRJ Kanayashala Trust in Ghatkopar, Mumbai towards the professional education of girls form below income families. The scholarship subsidizes their professional degree course so the girls can be meaningfully employed. 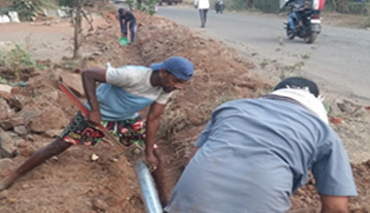 Astec helped women and children in Khalij village from travelling long stretches hours to fetch water by laying an 11 km long water pipeline connecting 3 villages, 350 households and 1 govt. school to the main pipeline thereby addressing the critical need of making water available for drinking and domestic purposes. 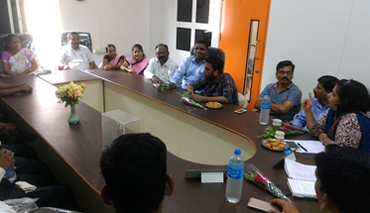 Astec undertook a detailed, participatory community needs assessment for understanding the primary and crucial needs of the communities surrounding the Astec factories. 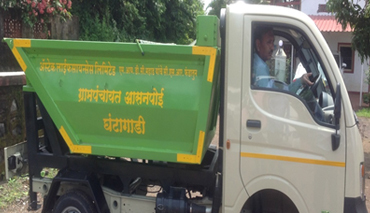 Astec donated a garbage collection vehicle to the Asanpoi village panchayat as there is a critical issue of waste disposal in Mahad leading to foul smell and health issues. 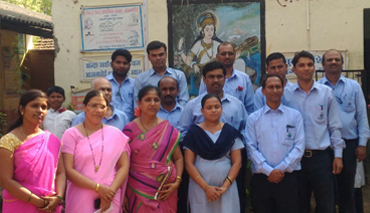 Astec is also undertaking a community waste management project in the Asanpoi village covering 550 households in partnership with Samprun Earth ( a reputed organization working in Mumbai on waste management). The objective of the project is to create awareness about safe waste disposal, using waste by products (eg: compost ) with the aim of creating local livelihoods for the Asanpoi people. 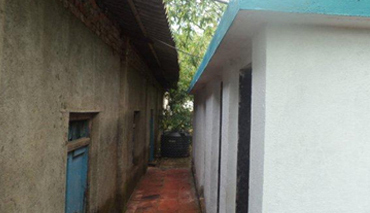 Astec is working with Anubhav Pratishthan Trust selected 9 villages with 4000+ house holds around its plants with an aim to help the poor. We aim to double house hold incomes for marginalized women farmers, schedule caste and tribal communities to diversify the source of the house hold incomes by building their skills and knowledge.